There are a variety of ways to contribute to the mission of Renton Christian School. Here are the most common ways of giving to the area of your choice. A gift of cash/check is the most common method of giving. 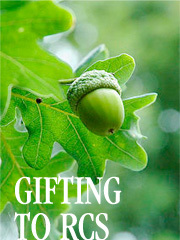 Gifts of cash are quick, easy and the tax benefit is immediate. If your goal is to defer a gift until after you have gone to be with the Lord, then a bequest in a will might be your best choice. Your donation is exempt from federal estate tax and you may change your bequest at any time during your lifetime should you have a reason to do so. Gifts of stocks or other securities allow the donor to avoid capital gains and at the same time receive an immediate tax deduction for the full market value of the gift. Transfer of stocks and other securities through the school's stock broker is simple and convenient. Through life insurance, a donor can make a large gift with little cost to the donor. Even the premiums are tax-deductible if done through the school! You can also contribute a policy that you no longer need. Donors might consider a gift of real estate that is no longer needed. This is a great way to generate a tax deduction and benefit the school at the same time. If not needed, the school will sell the asset immediately. If the property is still needed, the donor can deed ownership to the school but retain occupancy until released at one's home going. This is a great income tax charitable deduction with the option of continued use through the donor's lifetime.